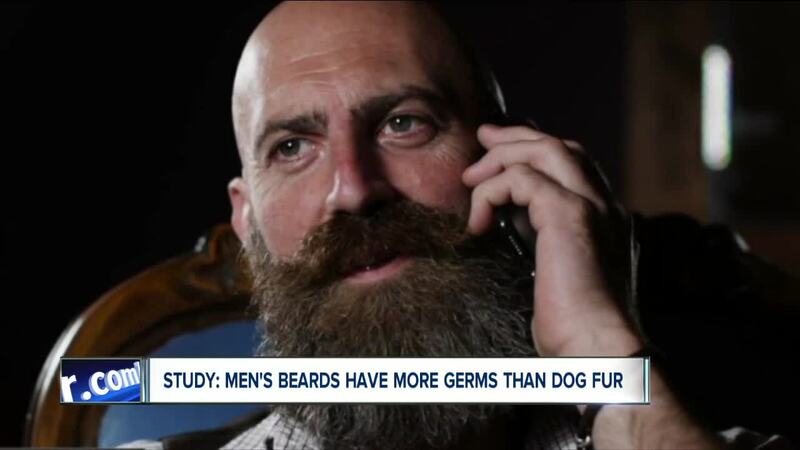 Men's beards have more germs in them than dog fur? That's what a new study from the Hirslanden Clinic in Switzerland found. Scientists took swabs from men's beards and compared them to samples from dogs' neck fur. All of the beard samples showed high microbial counts while only about two-thirds of the dog fur samples had high counts. Seven of the men sampled had microbes that posed a threat to human health in their beards. "As the MRI scanner used for both dogs and humans was routinely cleaned after animal scanning, there was substantially lower bacterial load compared with scanners used exclusively for humans," the study states.